To earn four stars, a great story must surprise me with something I didn't see coming. 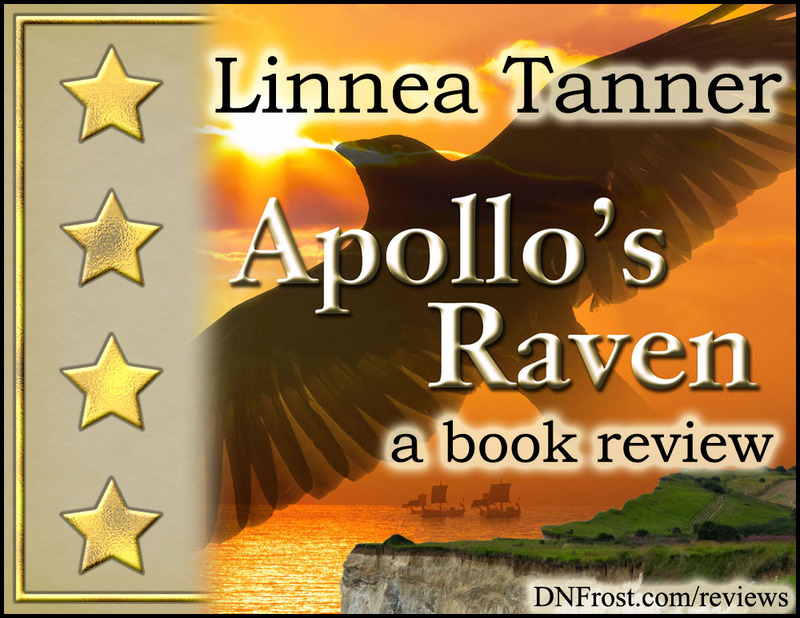 Apollo's Raven by Linnea Tanner is a Celtic historical fantasy set during the first century C.E. when Tiberius ruled the ancient Roman Empire. This novel is Book One in her series, also called Apollo's Raven. I received this book as an advanced reading copy after I first connected with Linnea Tanner in Part 1 of this series. 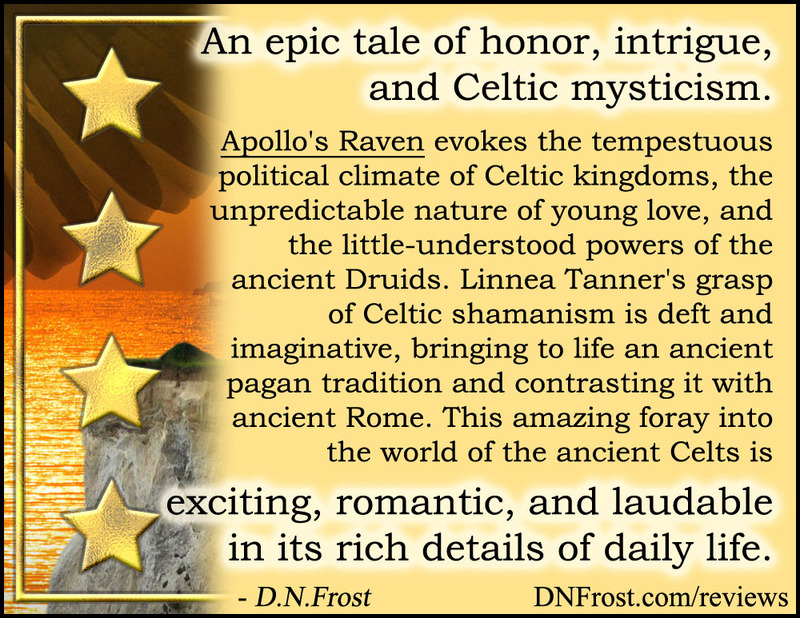 This well-crafted story evokes the tempestuous political climate of Celtic kingdoms, the unpredictable nature of young love, and the little-understood powers of the ancient Druids. Meet young Catrin, a Celtic princess and spirit warrior. When Roman troops land on her shores, Catrin falls haplessly in love with the son of the Roman ambassador, and their star-crossed romance fans the flames of an epic tale of honor, intrigue, and Celtic mysticism. Tanner's love for history shines through in the details she has diligently researched. Her grasp of Celtic shamanism is deft and imaginative, bringing to life an ancient pagan tradition and contrasting it with that of ancient Rome. This amazing foray into the world of the ancient Celts is exciting, romantic, and laudable in its rich details of daily life. The main character of this story is a fair maiden, Celtic princess, and spirit warrior named Catrin. Her strange powers allow her to commune with ravens, an animal considered very wise in the Celtic tradition. 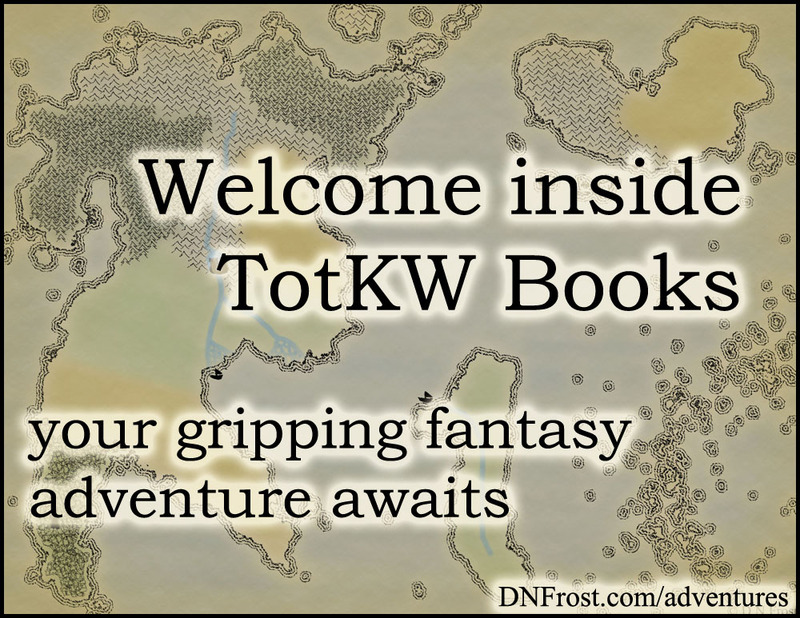 Though forbidden by her father to explore her dangerous powers, Catrin foresees the destruction of her kingdom and turns to her raven spirit for help. When troops from the aggressive Roman Empire land on her shores, Catrin and her family struggle to maintain peace and prevent her vision from coming true. But Catrin falls haplessly in love with the son of the Roman ambassador. Their star-crossed romance fans the flames of an epic tale of honor, intrigue, and Celtic mysticism inspired by an ancient era of Roman conquest. Tanner writes in a declarative, factual style that is nonetheless well-described and engaging. For me, her sentences sometimes felt a little long, but this is mostly a matter of personal taste. I'm not usually drawn to books written in this style, and in places, the story had the feel of an engaging history textbook. But this actually heightened the air of historical significance within the story, and I admire Tanner for leveraging her writing style in this skillful way. Her love for history shines through this novel in all the rich details Tanner has diligently researched; her painstaking efforts brought the world of the ancient Celts to life. Tanner's grasp of Celtic mysticism was deft and imaginative, and she contrasted this ancient pagan tradition with the more well-known paganism of ancient Rome. Tanner also intertwined the mysterious workings of Catrin's raven spirit with the Roman sun god Apollo and his raven messenger of legend. Though the story takes place entirely in ancient Britannia, this overlay of Celtic and Roman mythology gave rise to the name of her Apollo's Raven series. Beyond the amazing (and historically accurate) foray into the world of the ancient Celts, Tanner's well-crafted story kept me guessing. Between Tanner's myriad character motivations and the mystic nuances of Celtic shamanism, Apollo's Raven delivered the unexpected in a highly satisfying way. I loved how Tanner revealed one piece of the puzzle at a time, sometimes through a chapter following a specific character, other times through dialogue about offstage events. I also liked the fast-paced chapters, and at the beginning of each chapter, Tanner placed an intriguing quote from the manuscript to come. I found that this "preview" enhanced my anticipation of the unfolding story, and it made the book quite hard to put down. I read three quarters of it in one sitting. Tanner's book involved many dynamic elements, from the tempestuous political climate of Britannia, to the unpredictable nature of young love, and the dangerous, little-understood powers of the Druids. My favorite of the story's many factors involved a curse placed on the royal family well before Catrin's birth. The determined princess might use her raven's powers to alter the curse and change the future, but her powers themselves are part of the curse. 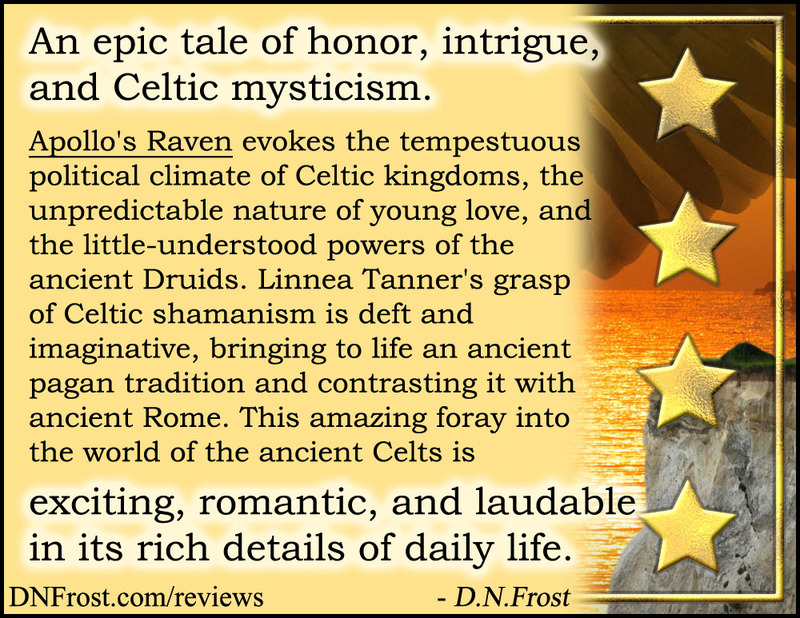 With little wisdom outside the raven to guide her and time running out for her Roman love, Catrin must immerse herself in the ancient magic of the Druids and fight to remain unscathed. Overall, I found Apollo's Raven exciting, romantic, and laudable in its rich details of Celtic life. I am definitely reading her next book in the series! 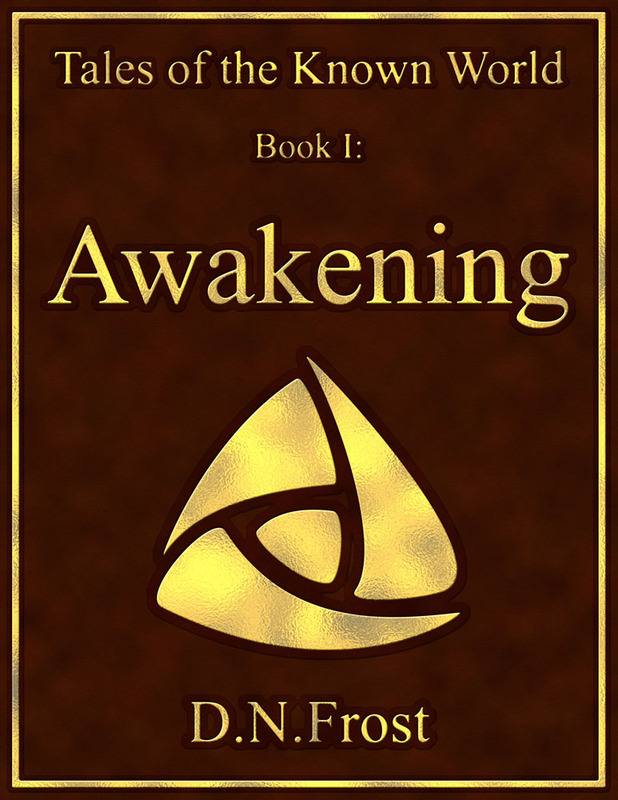 I shared my finalized review with Tanner to promote her book launch, and since I know how important Praise for Awakening is to me, I've also posted my review to Amazon and Goodreads now that the novel is available for purchase. 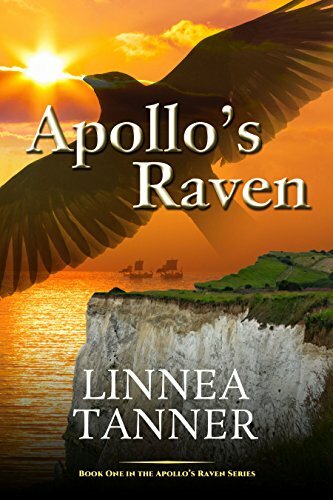 Apollo's Raven by Linnea Tanner here. And be sure to subscribe to Linnea Tanner's website, if you haven't already! That's it for this post! Up Next: The second book in her series... Coming soon.